Critical alerts were issued for two counties in central and northern Alberta on Saturday, due to flooding that forced residents out of their homes and closed roads. Critical alerts were issued for three counties in central and northern Alberta on Saturday as flooding forced residents out of their homes and closed roads. Critical alerts are issued by Alberta Emergency Alert when there is imminent, life-threatening danger. One was issued for Woodlands County, around 150 kilometres northwest of Edmonton, at around 6:30 a.m. The Athabasca River rose significantly and flooded Flats Road. Ten residents in the area had to leave their homes and the road was closed. The water started to recede slightly just after 8 a.m., the county said on its website. It said the cause of flooding was an ice jam on the river. Woodlands County includes the town of Whitecourt, Blue Ridge, Goose Lake and Fort Assiniboine. Another critical alert was announced for Mackenzie County, 800 kilometres northwest of Edmonton, just after 11 a.m. It's the province's biggest county and includes the communities of Fort Vermilion, High Level, La Crete and Zama City. 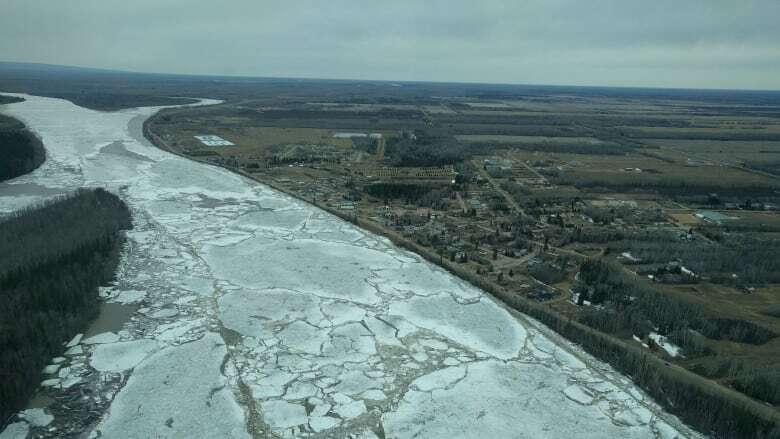 The alert was declared due to the risk of flooding in Fort Vermilion, a hamlet with about 650 residents, and the surrounding area. Residents in North Vermilion, a rural area north of the Peace River, have been asked to leave their homes. Water levels continue to rise quickly and a reception centre has been opened at the Fort Vermilion Community Complex. A critical alert was also issued for the Grande Prairie area Saturday night. "Due to increased water levels in the Bear Creek Reservoir, there is the potential for flash flooding in the Muskoseepi corridor," the Alberta Emergency Alert website says. People in Muskoseepi Park and the Bear Creek trails are advised to evacuate immediately. People are being asked to avoid the area and move to higher ground. Extensive flooding also led to the declaration of a state of local emergency in Sexsmith and Hythe, near Grande Prairie, on Friday. Water levels are receding, according to a news release from Grande Prairie Regional Emergency Partnership. The flooding was caused by rapidly melting snow, which led to the closure of several roads in the area, GPREP said. Water levels are being monitored, and pumping efforts continued on Saturday.